Firstly I would like to say a big thank you to the admins and mods on Moonlightaholics for allowing me to post this here. I am sad to announce that as of the 25th September 2010, two weeks today, Moonlight Dreams will close it's doors for the last time. We are giving our members two weeks in order to collect any material from the site they wish to keep. The reason for the closure is that recently the membership has dropped substantially and we cannot keep the board open with this in mind. We appreciate all the support from our moderators over the last two years but especially from our whole membership without you all we wouldn't have made it this far. If you are a member and you have forgotten your password and want access please PM me here and I will reset it for you. 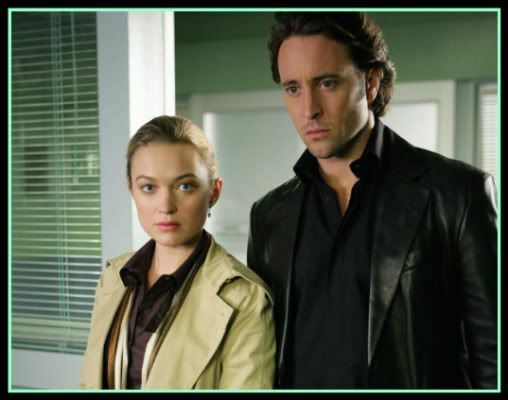 Although Moonlight Dreams is leaving us we appreciate it that it will be sadly missed and so with that in mind we have created a small tribute forum called Moonlight Dreams Jr. on Alex O'Loughlin's Place and we hope our members will visit us there. Thank you again for all the love and support you have given us and each other. Oh I'm sorry, Sharon... but good on you all for celebrating this beloved show in this way for two lovely years! Sharon, we're happy to give you the opportunity to share this information here. And even though we're sad to see Moonlight Dreams go, we know that the dream of Moonlight will never really die. You'll keep it alive in Moonlight Dreams Jr. And you can bet we'll keep it alive here too. It's always sad to let something you love go, but bless you ladies for doing such a careful and thoughtful job of it. You're giving everyone a chance to say goodbye properly and to retrieve things they want to keep. You are a very classy bunch. Thank you so much Grace and Alle it's a tough day I have been in tears as I posted the threads BUT I know ML is alive and well and always will be. Yeah we pointed our membership towards here and one other site for their Moonlight fixes aswell as of course our new forum. We want no one left behind. and , Sharon. I know how hard this decision must have been for you. It's comforting to know that your members have been given the opportunity to say goodbye properly -- to the site, I mean. (Never to Moonlight!) You know you're all more than welcome here. Alyssa, I'm sorry you have to do this. There is just so many ML boards, and each of them had/has their own flavour. The flavour of your board will be missed, but you will continue it as Jr. board, and so it will live on. You did a great job there. Alyssa and Sharon, to you both. I'm sure your members really appreciate the way you're going about things, giving everyone a chance to pack up and relocate, but I can only imagine what a wrench it is for all of you to close the doors. The locations may change, but the connections remain and I wish you all continued happiness at AOLP and all the other places, including here at MLA, where you are a vital part of our little community. Lilly, francis and Red, thank you so much for your kind words. It's not an easy time but I'm so happy we aren't flying to the four winds this time. By doing what we are Alyssa and I are trying to make sure that the members we have are thoroughly aware of the choices of sites they have to visit. The lucky thing being that most of them had a second site or perhaps a 4th or 5th like me . For those who don't we are there to help them find a new home before we close down. Moonlight Dreams is a wonderful board! What a wonderful repository of talent exists there. When you posted the notice of your closure, I joined and have spent over two hours this afternoon perusing what I wish I had checked out sooner! (Me and my rotten timing--definitely my loss). Thank you for all your efforts to keep the magic of Moonlight alive for us! Thank you indeed for what you have done for all of us. I thank you very much as well for letting us know, and for doing so before the site actually become inaccessible. I know that I for one really appreciate it. If I may... I don't know how possible that is, but if it is, I hope that the jr forum will have the fans creations (fanfics, etc...) currently online at Moonlightdreams. Just my wish as a selfish all-things-Moonlight "consumer". I wasn't a member of your board, but my heart breaks when I see other Moonlight boards closing up shop. Wish I could give you all a great big hug. Please make sure you have everything you need before then if you are retrieving comments etc. Thank you again for all your support and may the fun continue around the fandom.